Nominations for Management and Committee members will be from 25th July and will close 7 days prior to the AGM, on 8th August. Nomination forms will be available from the Secretary’s office and nominations are to be posted on the meeting room notice board. We have 2 work experience people volunteering for 6 months and both have good IT skills and can assist with computer maintenance and uploading information onto our website. We’ve had an email photo donation of the dredge “Tethys’ crossing the river at Manning Point. Also, there have been several archive requests for family research and photos, some people are choosing to use our archive room for their own research. Bill Beach has researched the Wingham Municipal Council Housing Scheme, 1954- 1980 and this article is in our latest Journal, No 58. This information will also be reproduced as a booklet and will be for sale at the museum. 2018 is 200th Anniversary of John Oxley’s explorative journey along the coast. Oxley’s explorations are a feature story by Kathie Bell in MVHS Journal No 58. 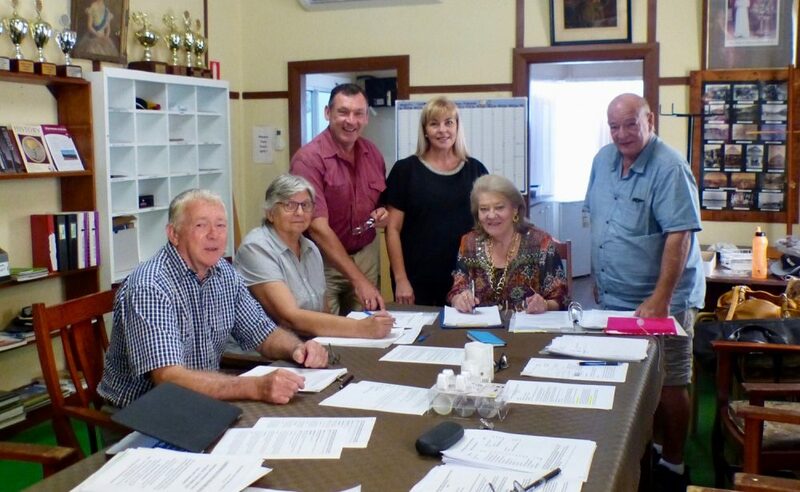 Currently the Manning Valley Historical Society has approximately 50 volunteers all working away on various projects from Management to Archives, Museum Maintenance, Collection Management and Conservation and Reception. Volunteers are always needed, particularly for our museum reception. If you are interested come along on a Tuesday and meet Neale Greenaway, President and the team. A blog by Dr Tim Sharpe from the Happiness Institute, confirms that recent studies, BMC Public Health 2017, show that volunteering has many benefits for our physical and mental health. Keeping active as well as stepping out of a standard routine can give an additional sense of purpose, with opportunities to act on values, passions and interests, gain work experience and learn new skills. New friendships and professional networks can be forged and stress levels reduced as well as an opportunity for those feeling isolated to stave off depression. Volunteering gives an overall improved enjoyment of life. Come and join us. One hundred years after the end of WW1, the Manning Valley Historical Society is organising a special “Commemorative Diggers Ball” to be held at the Wingham Memorial Town Hall on Saturday 29th September, 2018. Proudly supported by the Wingham RSL Sub Branch, the Ball will honour all Australia’s Defence and Peace-Keeping Service men and women up to the present times. L to R, Some committee members- Terry Gould, Kathie Bell, (Secretary), George Hoad, Bronwen Gault (Treasurer), Mave Richardson (Chair), Terry Tournoff. 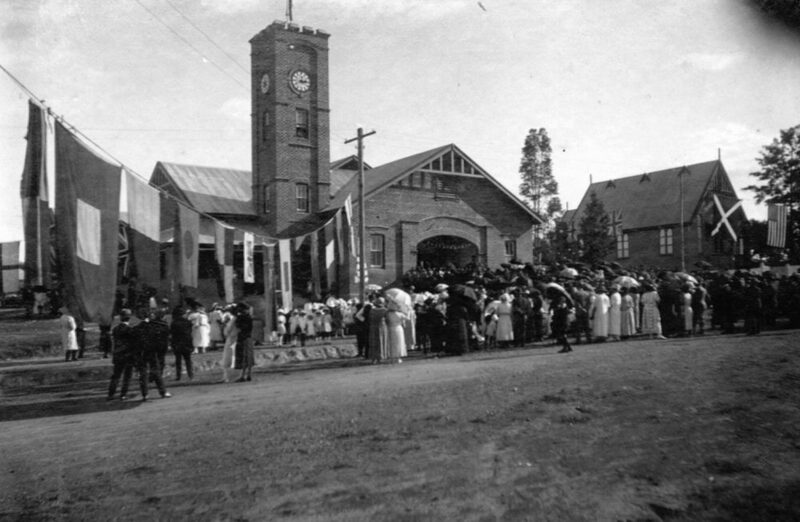 The Town Hall was funded by the community and officially opened on April 2nd 1924. An annual Diggers Ball was held from then on until the late 1950s. The 2018 Diggers Ball will be the first Diggers Ball to be held since that time. A committee has been established to organise the event which will feature music, dancing and entertainment, reflecting a century of changing times. It will be a very special community event for adults of all ages. “Whether you dance or not, come along and enjoy watching the spectacle. You will not be disappointed,” said committee Chair, Mave Richardson. “This is all about our communities of Wingham and the Upper Manning coming together to pay tribute to those who have gone before, and those who are still out there, protecting democracy,” she added. THE MANNING VALLEY HISTORICAL SOCIETY Inc. (MVHS) IS MANAGING THE PRESENTATION OF THE ‘COMMEMORATION DIGGERS BALL’ TO BE HELD AT THE WINGHAM MEMORIAL TOWN HALL, ON SATURDAY 29TH SEPTEMBER 2018. The Wingham Memorial Town Hall (WMTH) was constructed with community donations and further financial contributions from the then, Wingham Municipal Council. It was officially opened in 1924. The community pulled together to build a lasting Memorial to honour those who served in WW1. In those days, agreements were approved for the Wingham RSL Sub Branch to have free access to the Town Hall facilities, for specified RSL use in identified areas and times, in perpetuity. Indeed, a High Court decision in 1950 reaffirmed these conditions. One of the specifications was an annual Diggers Ball. 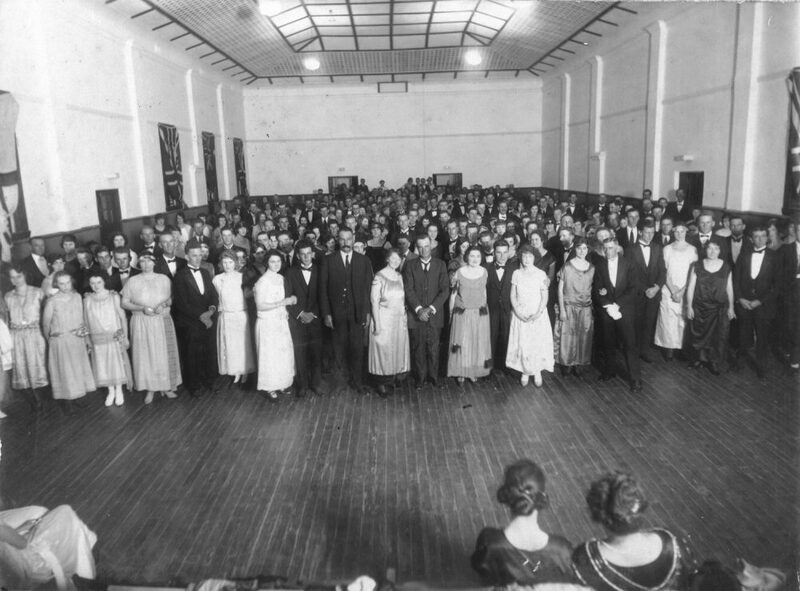 An annual Diggers Ball was held at the Town Hall between 1924 and the late 1950s. The WMTH is the only Memorial Town Hall between Maitland and Grafton. In June 2018 a Federal Armistice Centenary Grants Program (ACGP) grant of $4,400 was approved to assist with presentation costs. The ‘Commemoration Diggers Ball’ will be held on 29th September 2018. This will focus on completing our regional Centenary of ANZAC 2014 – 2018 commemorations and honour all our Defence and Peace Keeping Service men and women, as well as providing a thanksgiving opportunity for the Peace that followed the end of WW1. The program will reflect the WW1 era, then on through the decades, to the present day. In November 2017, MVHS established an independent Diggers Ball Sub Committee comprised of MVHS and WRSLSB members, to organise and present the 2018 Commemoration Diggers Ball. Other community members are assisting in advisory capacities as well as providing support in kind. Use of the Town Hall has been confirmed for all day on Friday 28th September for setting up and all day and evening of Saturday 29th September 2018, plus 3 hours for clean-up on Sunday morning 30th September. Helpers are most welcome to volunteer their assistance. The Committee will be dissolved upon completion of the project, including acquittal of all funds. The ACGP Grant will help to cover band hire, catering, printing, hire of equipment and costs for audio visual recordings and advertising. Hall hire fees, including auditorium, supper room, kitchen and all equipment, have graciously been waived by Mid Coast Council. Local sponsorship/donations will be sought. A projected budget has been prepared, aiming to keep ticket prices as affordable as possible – $40 per person. Tickets will be on sale at the Wingham Museum and Ashlea Road Boutique in Wingham and Bass ‘N’ Blues in Taree, from 1st August. The organising committee encourages everyone to support this nationally significant event. There will be prizes for best costumes reflecting 100 years of changing fashion. A comprehensive program of commemoration, entertainment and dancing is being prepared. As in the ‘Old Days,’ it will be a BYO drinks event.Supper will be provided by members of the Wingham Red Cross, the Wingham CWA and Quota International. Plans include involving the wider community through major media promotion (including social media), participation of community members with catering, decorations and volunteer assistance. It is hoped that local young people will present cameo performances at the event and assist as volunteers, before, during and after the event. Involvement of Service personnel and Service cadets is also encouraged. This will be a Never–to–be–Repeated Community Event. Written, photographic and audio-visual recordings of proceedings will be made and subsequently distributed to local schools and appropriate Museums and Libraries – to keep the ‘Legacy’ alive for future generations.